Does the thought of going to the dentist fill you with fear? Do you put off dental treatment to the last possible moment? If so, you are certainly not alone! Dental phobia - whether that is fear of the dentist, fear of needles, injections or the feeling of claustrophobia that treatment can bring - can be a major factor in people avoiding the dentist. A lack of regular check-ups and management of dental hygiene can mean that if and when a person does eventually visit a dentist, the treatment can prove to be more serious. The high sugar diets that many of us now consume also plays a significant part in the health of our teeth and gums. Quite often, a dental phobia may originate from an unpleasant childhood experience at the dentist, or can even be learned from a parent with a similar phobia. The phobia might be about the dentist themselves, or any aspect of the experience – injections, sights, sounds, smells. Whatever the cause, an early resolution to the phobia can help an individual to engage with dental services comfortably and without fear. As with all treatment of phobias, it is important to see a therapist who is skilled at establishing and treating the key causes of the phobia. If you are given a treatment for a general fear of dentists but the main reason for your fear is claustrophobia, then success is less likely. 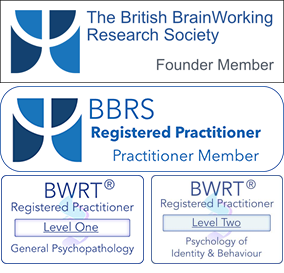 Both BWRT® and hypnotherapy are frequently successful in helping with all sorts of fears and phobias, including dental phobias. I also offer treatments that can help to improve oral hygiene issues, such as helping to change diet, get rid of sugar cravings, stop smoking (usually just one session) or other issues. For more information or to arrange a free consultation, please get in touch.